This week, the first after the Ambexers returned from their first free travel/reading weeks, was met with the beginning of Reformation Theology, taught by Dr. Behle from The Master’s College. The students have been working hard as this class regularly proves itself among the most difficult due in large part to the challenging nature of its content. The week has however not been without respite as we ventured yesterday to the mighty Walhalla just down the river from Regensburg. 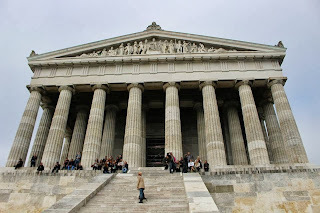 Walhalla was commissioned by King Ludwig I, grandfather of Ludwig II of Bavaria who built Neuschwantstein Castle which we visited a few weeks ago. 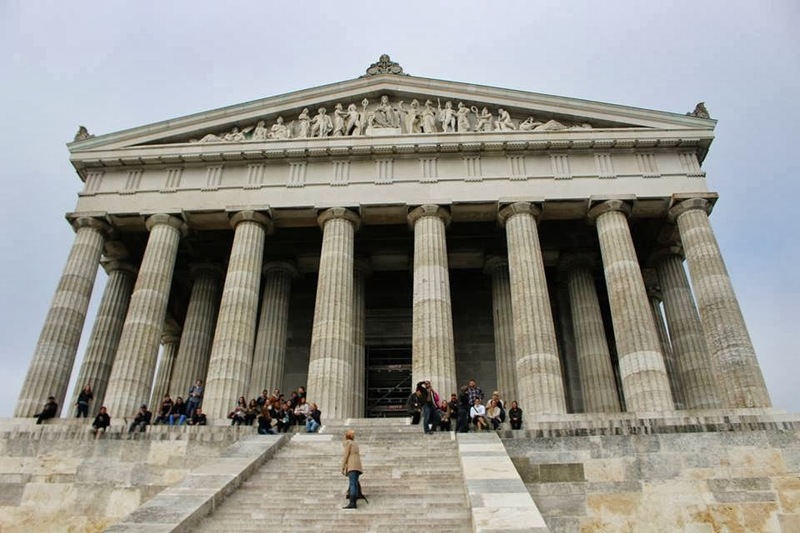 Situated just east of Regensburg in the hills overlooking the Danube Walhalla is modeled after the Greek Parthenon. 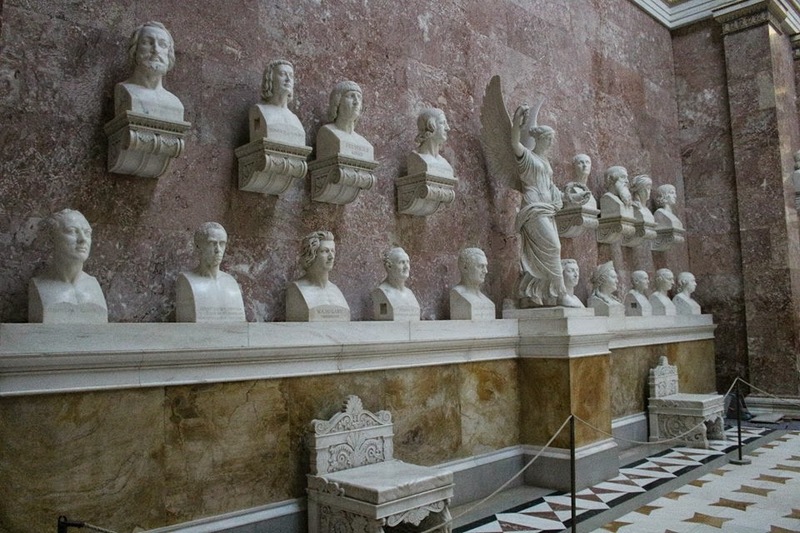 It serves something to the effect of a German hall of fame where the Country’s most influential figures are honored and immortalized for posterity in marble busts. Marble busts like these adorn the walls inside. The students continue this week with Reformation Theology in the classroom. Next week, however, will be accompanied by a hands-on variety of learning as we will be traveling to the very sites they are learning about this week; Martin Luther’s House, the Castle Church at Wittenberg where Luther posted his 95 theses, Erfurt where he attended university and Wartburg where he spent his exile.